So right off the bat, I can tell you there's one thing I'm not very good at: surprises. I'm not creative, I'm not always the best at planning ahead (though, I am making a real effort and getting better at this) and I'm also just not very creative. 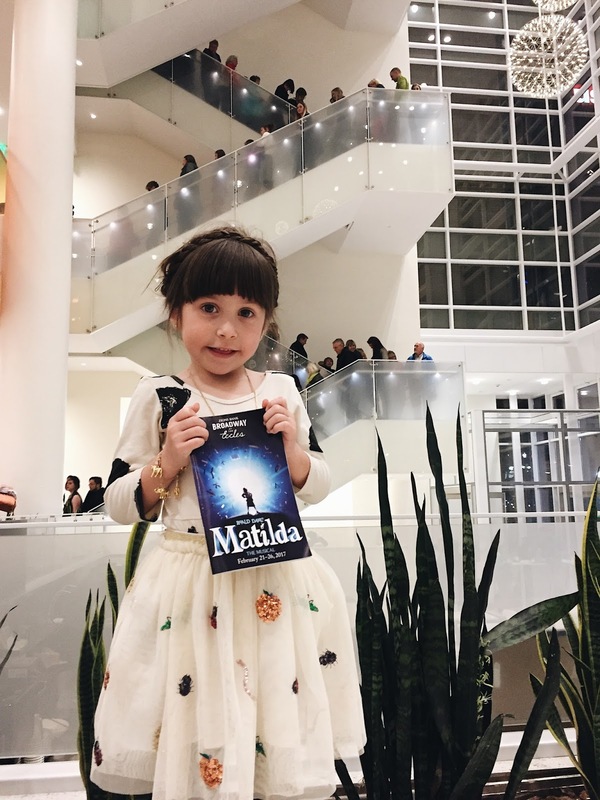 But, a few months ago when I heard that Matilda was coming to town, I knew this was something that I'd love to share with my favorite girl. So, tickets were purchased, and I kept my mouth shut. Until THE DAY OF. I have no idea how I was able to just sit on this surprise for so long, but I swear the look on her face made it all worth it. First, I helped her pick out a "fancy" outfit, and she made sure that she topped off her look with some jewelry and some of mama's "pear-fume." She is just like her daddy, and always wants to know what the surprise is, but I kept telling her she had to wait. So we drove in to downtown Salt Lake, and grabbed a bite to eat. Nothing fancy, but she started jumping up and down when I told her she could pick out any dessert that she wanted. Naturally, she picked the thing that had the most whipped cream. After dinner, we ran in the pouring rain to catch the show. It wasn't until we had finally arrived that I told her that we were there to watch Matilda. And the face she made...well that's a look I'll never forget. She had guessed that we were going to go to the bookstore, or the zoo, and the mall, and I'm so glad I was able to surprise her. It's amazing what a night out with my girl, watching one of our favorite characters, while eating an overpriced bag of gummy bears can do. Sof, I sure do like ya, kid. This poor child. That's what happens when you're the third, right? Mom forgets to update the blog on all the cool things you're doing. Like, getting teeth, drooling, and finally sleeping through the night? It seems so hard to believe that Oscar will be one in less than a month! This has easily been the fastest year of my life yet. It feels like we were bringing him home from the hospital just yesterday, and we were knee deep in dirty diapers and spit up. Well, we still actually are knee-deep in diapers, but fortunately, the spit-up days are behind us. You know what's funny? Even though baby O is our third, I feel like I haven't reached the "seasoned mom" status. But, do you ever really get there? And what does that even mean, right? Every day I'm learning new things about raising preschoolers and babies, and no day is the same as the other. 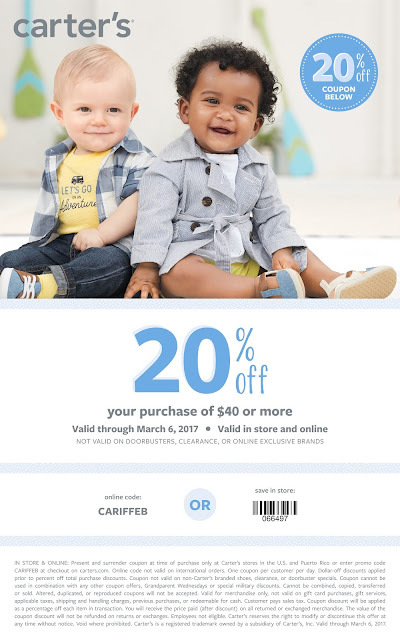 One thing that has remained the same, however, is we have always found exactly what we needed to keep our babies cute and comfortable at Carter's. Oscar can look stylish while being comfortable, and that is absolutely key for me. Carter's has everything from rompers, pajamas, outfit sets, and sleep and plays so baby can wear something cute and cozy all day long. When it comes to choosing clothes for Oscar, I feel like I've learned from having had two babies before him. Plus, now that we've added another person to do laundry for, I need whatever clothes he has to do double duty! 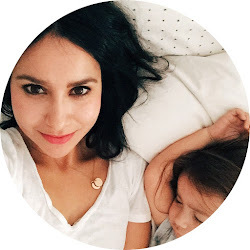 This mama doesn't have time be drowning in laundry every day! So, two-piece sets like this one are perfect because he can wear them while it's still cool with a undershirt, but it also won't make him feel hot in the early days of spring. Even better is that I can use each piece individually, and easily match it with something else. With how busy O is these days, what with chasing after his older siblings, pulling things out of cabinets, and trying to get into the dishwasher anytime he can, he definitely has no time for clothes that slow him down, and I wouldn't want that either. I love watching him explore new things and figure himself out. Well, as long as he's not exploring my closet- then things can get a little messy! Lastly, I know how it feels to fall asleep and then wake up not feeling entirely well rested because I couldn't get quite comfortable because of what I was wearing. Oscar doesn't need to worry about that because these outfits are cozy enough to drift off to dreamland. Carter's is currently having some awesome deals in February, with their sale running from February 21st through March 6th. You can take advantage of the sale (see coupon) through 3/6 both in-store and online. To find some affordable looks for your own little ones, you can find their line of clothes HERE and their super cute shoes HERE. And here's that coupon I promised ya! And like his shirt says, there really is a whole world out there. I just feel lucky that I can be a part of his little journey.